The New York Stem Cell Foundation (NYSCF) Research Institute announced today that it has entered into a partnership with the Parkinson's Progression Markers Initiative (PPMI) to build resources for studying Parkinson's disease to accelerate new treatments. Sponsored by The Michael J. Fox Foundation for Parkinson's Research, PPMI is a landmark effort to identify and validate biomarkers of Parkinson's disease. The study is currently under way at 32 clinical sites worldwide with funding from 13 industry partners. NYSCF will generate stem cell lines from PPMI participants, allowing researchers to examine how Parkinson's disease develops in and progresses in a large and genetically diverse group of patients. This research could potentially lead to the development of treatments tailored to different subtypes of PD. To accelerate discovery and drug development, these stem cell lines will be made available, with de-identified patient data, to the scientific community at large. "To prevent or slow the progression of Parkinson's disease, we need to elucidate the pathobiology of PD, the cell lines generated by The New York Stem Cell Foundation will be an important tool to help us understand the etiology and progression of PD in combination with the comprehensive biomarker data already coming from PPMI." said Ken Marek, PhD, principal investigator of PPMI and senior scientist and co-founder of the Institute for Neurodegenerative Disorders. Lawrence E. Golub and Karen L. Finerman have committed to fund the first phase of this partnership. The couple previously funded the NYSCF – Golub Stem Cell Research Initiative for Parkinson's Disease Research, which provided a basis for the collaboration. Golub and Finerman are both members of the NYSCF Leadership Council and Finerman also serves on the Michael J. Fox Foundation Board of Directors. PPMI is a long-term, observational study that tracks the progression of PD to identify biomarkers: biological substances, processes or characteristics associated with the risk, presence and/or progression of disease. The study completed initial recruitment of 400 PD patients and 200 healthy, age and gender-matched controls in early 2013. Participants undergo longitudinal imaging, clinical and biological tests over five years, and, since its inception, PPMI has offered all qualified investigators real-time access to that de-identified data through an online database. In addition to the initial cohort of 600, PPMI has expanded to enroll individuals without PD but with known risk factors – smell loss, REM sleep behavior disorder and certain genetic mutations – to characterize biomarkers before the onset of motor symptoms. "We are very excited to be a part of this joint effort with the Parkinson's Progression Markers Initiative. This collaboration will provide a comprehensive look at this devastating disease at the cellular level across a broad number of patients, we are very grateful to Lawrence Golub and Karen Finerman for their pioneering support of the NYSCF – Golub Stem Cell Research Initiative for Parkinson's Disease Research." said Susan L. Solomon, Chief Executive Officer of NYSCF. At the NYSCF Research Institute, scientists will make stem cell lines using NYSCF's Global Stem Cell ArrayTM, an automated robotic platform that makes it possible to create identical stem cell lines from a large number of patients. 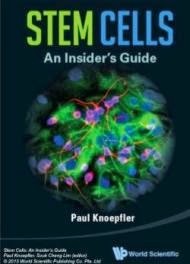 Through advanced stem cell techniques, isolated skin cells are "reprogrammed"—or reverted—into an embryonic-like state, then known as induced pluripotent stem (iPS) cells. These iPS cells can become any of the cell types implicated in PD, replicate indefinitely, and reflect the progression of the disease in the laboratory. NYSCF scientists will produce disease models using iPS cell-derived, dopamine-producing cells, known as dopaminergic neurons, which degenerate in Parkinson's disease. Observation of pathological changes in these models will illuminate the pathology of PD, which can identify potential drug targets. These cell lines can also be used in the testing of drug candidate compounds. Traditionally, iPS cells are produced, with varying success, by hand. Procured cells may not be fully reprogrammed or may carry over molecular "memories" of their adult cell pasts. The NYSCF Global Stem Cell Array™ eliminates these confounding variables; iPS cells are completely standardized, without any possibility of alteration to the donor's DNA, providing researchers with comparable cells to pinpoint cellular-level changes. Parkinson's disease is a degenerative disorder of the central nervous system that affects five million people worldwide. There is no cure for PD, and current therapies do not alleviate all symptoms such as tremor, rigidity and impaired balance, depression, and mild cognitive impairment. Most cases of Parkinson's are idiopathic, meaning that the cause of the disease is unknown, yet one to two percent carry a genetic mutation attributed to the development of PD. Contributing risk factors remain poorly understood.